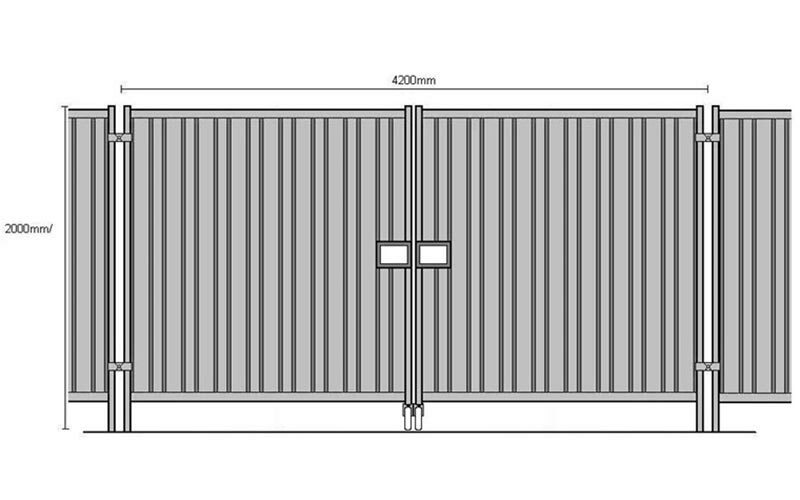 Our Steel hoarding Pedestrian gates are formed into panels to give a seamless appearance and ensuring they are interchangeable with standard panels. 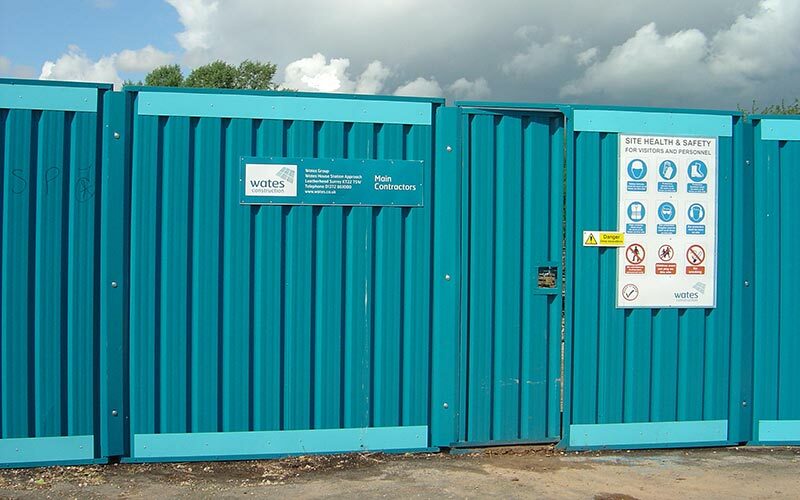 The doors are fully framed and have shoot bolts that can be padlocked to form an intruder proof access to site. 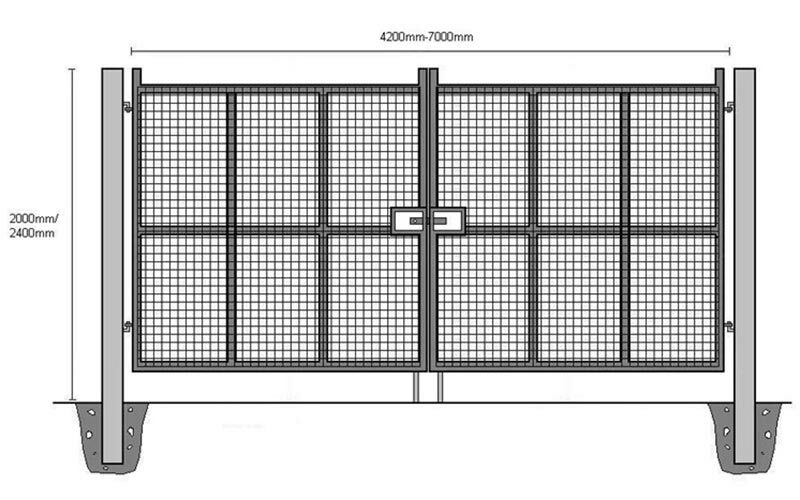 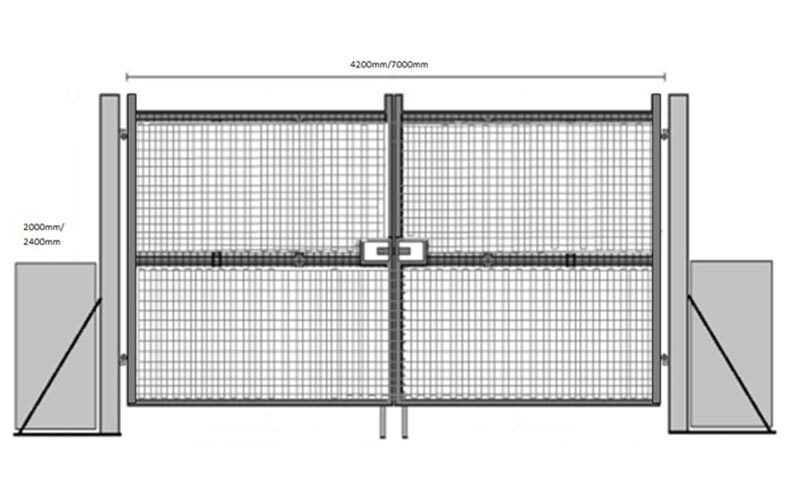 We also offer a single leaf mesh pedestrian access gate which can be fixed using in-ground or portable gate posts. 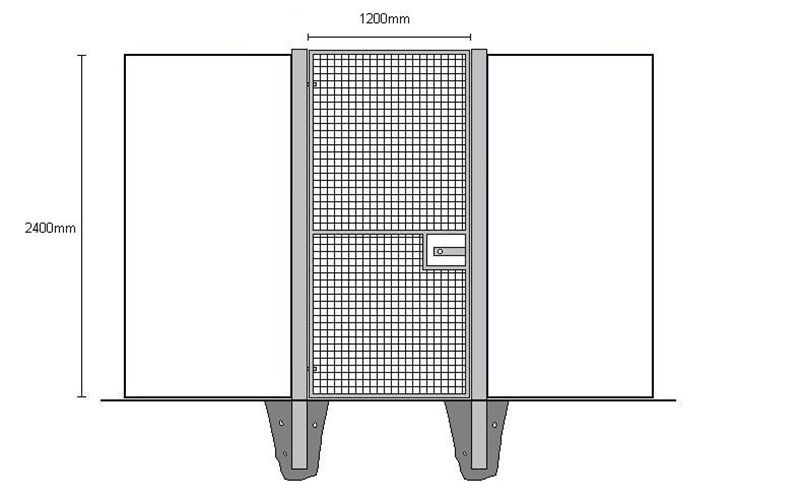 Additional Digi-locks can be fitted where required. 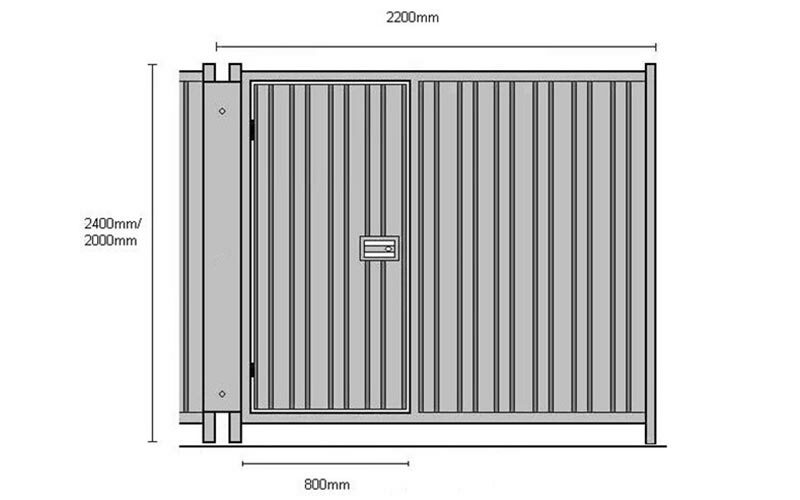 Vehicle gates are available in a range of widths and are double leaf with with heavy duty sliding latch and drop bolts as standard. 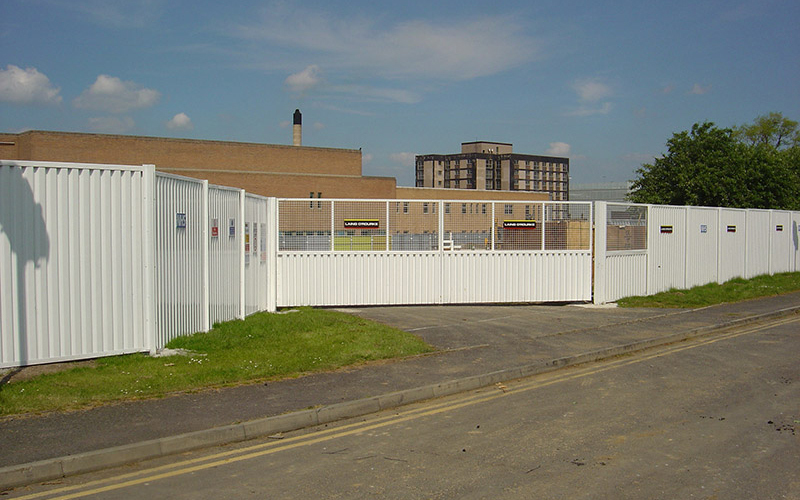 Vehicle gates are available either fully clad for maximum security or fully mesh for increased vision to allow safe access and egress to site.